Mold tools are CNC made of high quality 6061 aluminum alloy with teflon coating. We are EPS/EPP foam moulding supplier and tooling maker in China. 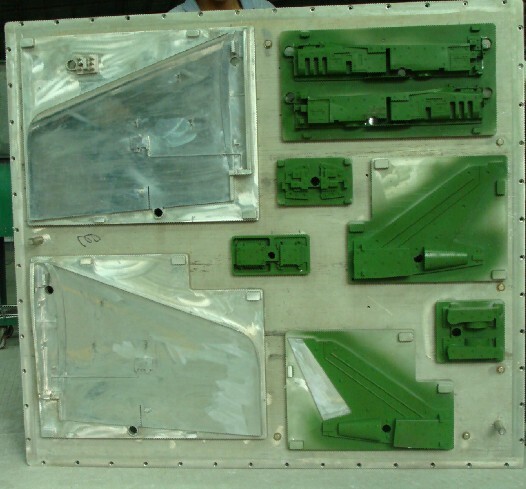 We supply EPS/EPP/EPO/EPE foam products moulding and aluminum mold tools processing. Our experienced engineers have good experience in designing and making EPS/EPP/EPO/EPE mold tools,our mold tools are exported to all over the world.Just send us your foam parts drawing and inform your moulding machine tech data(Erlenbach,Kurtz,Alessio,etc), we design mould tool 3D drawing and make quality tools for you.